Making a picture frame is one of the most basic and simplest crafts projects you can undertake. Like many DIY crafts, it will not only serve a functional purpose but it also can be used as part of your home decor. A personalized picture frame is also a fun way to elevate a treasured photograph or memento from a sea of photos just tucked away on your mobile phone or laptop. So if you’re ready to display your favorite photo, check out these picture framing tools to get you off to a good start. It’s very important when you are going to make a picture frame that you are able to correctly measure your wood, or you will be very frustrated after making your cuts. While it is important that you are able to measure larger pieces of wood with a different type of tool, to make sure that all of your smaller measurements are correct, you need to use a metal ruler. This type of ruler is preferable over a wooden ruler because the metal will not be accidentally damaged or chipped, which means that you won’t have to worry about the end wearing down and affecting your measurements. Look for a metal ruler that has very small measurements and is from a reputable company so that you don’t have to worry about whether or not the measurements will be correct. When you are measuring smaller sizes or really want to double-check your work, then you need to make sure that you have a metal ruler with small measurements that are clearly labeled. Remember that it doesn’t matter how attractive the ruler is or what small measurements it has marked for you, if you are unable to read the measurements, then your ruler will not be much use to you. Even if you are going to eventually make a smaller picture frame, you need to be able to cut down your wood to the correct size quickly and easily. You can easily measure how long or short you need your wood to be when you use a tape measure. It’s important that you choose a tape measure that has a number of features that will make using this tool easier, especially if you are going to be working by yourself. Make sure that you look for a measuring tape that has a metal blade because it will be very strong and reliable and won’t bend when you are trying to read your measurement. Additionally, look for a tape measure that has a locking mechanism so that the blade can be locked out in position when you are working, as this will prevent you from having to hold onto the tape measure when you are working. Finally, the accuracy and units of measurements on the tape measure will play a huge role in how useful your new tool is. Make sure that you choose a tape measure that is very accurate, offers small units of measurement, and is very easy for you to use. Unless you are going to be making a lot of picture frames, you can usually get away with using a hand saw to cut down your wood, as this will be significantly less expensive, although a little more difficult and time-consuming to use. There are a few things that you will need to consider when you are looking for a hand saw so that you can be sure that you choose the right tool for the job and so that your new hand saw can be used to complete other projects around your home. One thing that you need to take into consideration when you are buying a hand saw is how widely spaced the teeth are. While saws with teeth that are spaced widely apart will make short work of the wood that you are cutting, they tend to leave a much rougher edge. It’s preferable to opt for a hand saw that has finer teeth, as this will create a smoother cut that is not so difficult to work with. You also want to make sure that the hand saw you choose is of good quality and that the blade is securely attached to the handle itself. This will prevent the blade and the handle from coming apart when you are using it. For anyone who wants to make picture frames on a regular basis, it is a good idea to invest in an electric table saw, as this tool will make cutting through wood incredibly fast and easy and will decrease the likelihood that you will make a mistake. While this tool is much more expensive than a hand saw is, you will also enjoy the added benefit that you can use your electric table saw in a number of ways, making it ideal for completing many different types of projects. While you may be tempted to buy a heavier, contractor or job site saw, you generally only need a portable or benchtop type electric table saw when you are going to be making picture frames. That’s because cutting through the wood for your frames is not difficult, nor does it require a lot of weight from the saw to counteract the motion of the blade. This type of saw can easily be moved to a shelf or other storage when not in use. You can either use the saw on a workbench or a table in your garage or shop or attach it to legs, allowing you to set up the saw in any number of locations. Do make sure that you pay attention to the quality of the bevel mechanism, the blade lifting mechanism, and the fence so that you don’t have to worry about these parts wearing out quickly. A miter box is imperative if you are going to be making picture frames, as this handy tool is what you will use to ensure that your corners line up perfectly and that you don’t have any problems with gaps, uneven edges, or sides of the picture frame sticking out farther than they should. Because it is almost impossible to cut the correct angles when you are making a picture frame, you need to make sure that you invest in a miter box that is built to last, but luckily, you only need a very basic one unless you have a reason for one with more features. When using your miter box, you have to make sure of a few things: mainly that your miter saw is set to exactly 45 degrees, you don’t change the stop blocks when cutting any of the pieces for your picture frame, and that your rails have to be the same length. When you use your miter box correctly, you won’t ever have to worry about whether or not your picture frame will have sharp and correct corners. A manual miter box may be all that you need to make picture frames, as opposed to a power miter saw, especially if you are only making a few at a time. If you want to speed up how quickly you are going to be making your picture frames and don’t ever want to have to worry about whether or not your cuts will be correct or smooth, then you need to invest in a power miter saw. This is going to be much more expensive than buying a miter box, but because you can quickly and easily cut your wood with a single motion, it will greatly speed up the process of making picture frames. This type of saw is not useful if you are going to be cutting wide pieces of wood or need to rip lumber. Basic saws are great for making cuts that are up to 90 degrees, but if you want something that has more control and adjustments that you can make, then you will need to consider buying a compound miter saw or sliding compound miter saw. These are both much more versatile and will let you make bevel cuts and to really customize the types and angles of cuts that you make, ensuring that you can use them on additional projects in the future. It can be really tricky to hold your freshly-mitered corners in position when you need to glue or staple them together to complete your picture frame, and without the right kind of clamps, you are going to become very frustrated. Corner clamps are one great option that you can use and will fit onto the corners of your frame to ensure that the corners don’t move while you are attaching the two pieces together. Make sure that you choose corner clamps that are large enough to be able to be used on a variety of different sized picture frames, as you do not want to have to buy multiple sets of this tool. Additionally, look for ones that are easily adjustable so that you don’t spend a lot of time trying to tighten them so that the pieces of wood do not slip and move around. A band clamp works by pressing all sides of the picture frame together so that it will hold its shape and you can easily glue it into place. 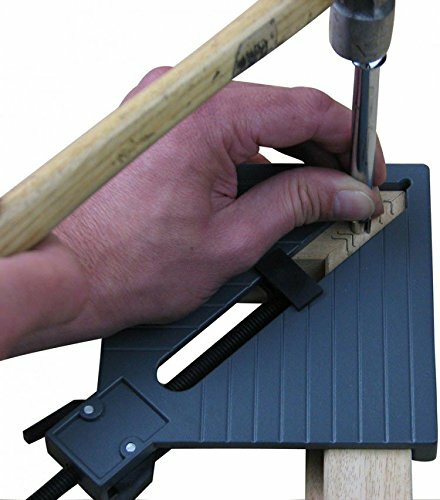 One problem that you may experience with a band clamp is that it can be very difficult to get the corners to line up correctly, which is why a lot of people will opt instead for corner clamps when they are working on picture frame production. 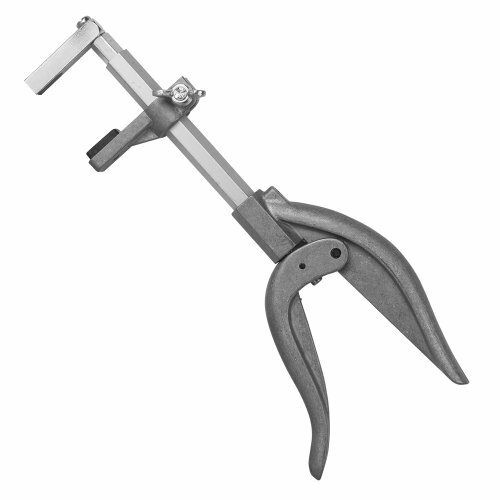 This type of clamp has a long strap, as well as a ratcheting mechanism that is used to tighten the strap around your frame and to apply even pressure. They are commonly called “web clamps” and are ideal when you need to apply even pressure to your project on multiple sides all at once, which is why they are a popular choice for making picture frames. If you want to make sure that your corners don’t slip while they are being attached together, then you may want to consider a band clamp that also has corner brackets that will be able to hold the corners together at the perfect angles. While many people think that making a picture frame is a very delicate process, you actually have to be able to hammer together the pieces of wood to ensure that everything is connected properly. You can also use your hammer when your picture frame is finished to drive nails into the wood around the corners after the glue has dried, which will add another layer of protection and security to your frame so that it doesn’t break. Finally, your hammer is useful to attach a hanger or other hardware to the back of your frame. It’s important to choose a hammer that is comfortable for you to use so that you can easily swing it and control it without any problem and that is heavy enough to be able to drive nails and brads into your new picture frame without issues. After you have glued together your corners, clamped them, and allowed them to dry, it is a very good idea to add nails or brads to the corners to ensure that the joints are secure and that you won’t have any problems with your corners coming loose. While you can generally rely on the glue that you use to hold your corners tight and keep them secure, adding nails or brads will provide you a little extra security, especially if you drop your frame and do not want to have to worry about it popping apart. A great nailer, in this case, will be very easy for you to hold and to maneuver and will hold nails that are large enough to easily span the seam in each corner, but not so long or wide that they will damage the wood of your new frame. While it is easy to buy an electric nailer that has extra power, in this case, you can likely use a manual one and still be able to add extra security to your picture frame. Prior to connecting the corners of your picture frame, you need to make sure that the edges are nice and smooth. While this will not be a big deal if you have used an electric saw to cut your wood, if you used a hand saw, then it is very likely that the wood will be rough and uneven. Failing to sand down the edges when you connect them for the corners will result in gaps and an uneven appearance. You can also benefit from using a handheld sander to ensure that the wood frame is nice and smooth before you paint or stain it. If there are flat surfaces along the picture frame that you have made or areas that are very large, then you will love how quickly you can sand the surface using a handheld sander and how rapidly you will be able to finish this task. If you are working in smaller areas or have areas of the frame that are harder to reach, then you need to use sandpaper so you can more easily control it. While a paintbrush may seem an odd tool to have on hand when you are going to be making a picture frame, they are very useful and allow you to easily and neatly brush away any sawdust or other debris that may collect along the edges or in the crevices of your picture frame. Making sure that there isn’t any sawdust or fine dust on your picture frame before you try to glue and nail it will ensure that you have a smooth and finished surface. Additionally, if you are going to be painting, staining, or varnishing your picture frame, you will want to use a quality paintbrush for this task. Be careful using a foam brush to apply varnish, as they tend to leave a lot of bubbles in the finished surface. Choose a brush with bristles made from horsehair if you want a smooth texture that will look great for years to come. In order to make measurements on your wood that you are going to cut, you need to make sure that you have a quality marking pencil. 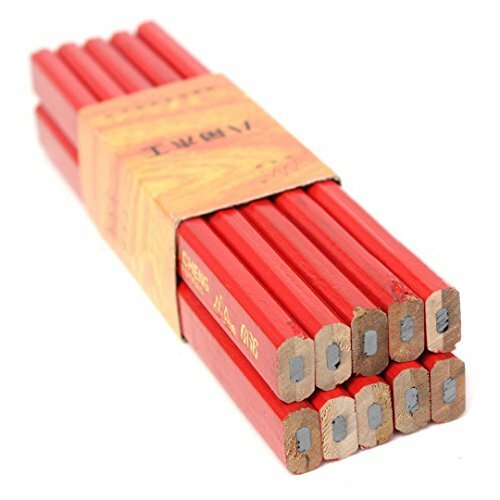 While other types of writing utensils, such as pens and even chalk, can be difficult to see when you mark on wood, a marking pencil is designed specifically for this type of work. One problem that you will likely run into when you use a pen for this task is that the ink may have trouble showing up on the wood, and you may find that you must press into the surface. Chalk can be difficult to control and to create a small line to show where you need to cut, which is why a marking pencil is really ideal in this situation. Drafting triangles are very useful and make it easy for you to check and double-check that the frame is perfectly square before you begin to glue. When used correctly and in conjunction with clamps, drafting triangles make it possible to ensure that your frame will not be crooked when it is finished. When you are looking for drafting triangles, you will want to consider buying ones that have small measurements marked on the edges. That’s because you can easily use your drafting triangle in place of a small ruler in some cases. While they aren’t ideal for measuring larger pieces of wood, they are perfect for making sure that your smaller measurements are correct. When you are ready to put pictures in your new frame, then you need to make sure that you have the tools necessary to hold the frame in place so that your pictures do not slip or fall out. Known as a point setting tool or a frame point driver, this tool makes it simple to drive small bits of metal, or points, into the interior of your picture frame so that everything stays in place. Rather than trying to complete this task by hand, which is difficult and time-consuming, using the right tool for the job makes it easy to finish assembly of your new picture frame. If you do not want to use a point setting tool, then this one-hand set of pliers may be just what you need to finish the creation of your picture frame. They rely on a powerful magnet that is used to hold the v-nails in place while the pliers then slowly squeeze together to gently push the nails into the wood. While these pliers aren’t strong enough to work on hardwood picture frames, they are ideal if you made your frame out of softer wood. Because they can be operated with just one hand and because they have a large gripping surface, they make it very easy for you to finish your new picture frame without relying on someone else for help. This makes them a great choice for anyone who wants to make a number of frames on their own, although they will probably not stand up to regular use. If you do not already have the majority of the parts that you will need to make a picture frame, then you will benefit greatly from buying a kit that already has all of the parts and pieces in it that you need. While it is important to realize that when you buy a kit that not all of the parts may be as high-quality as if you were to buy them individually, this is a great way to get started making picture frames. Make sure that the kit you buy has all of the parts and tools that you need to start making picture frames without delay, including clamps, fasteners, all of the hardware that you need, and a magnetic driver to insert your fasteners. Unfortunately, these kits do not generally come with a miter box or saw, so you will need to have some of your larger tools already on hand in order for these kits to be useful.